Wedding is definitely one of the most important occasions in life of all and to make this day even more special and a memorable one you can go for a special theme wedding. 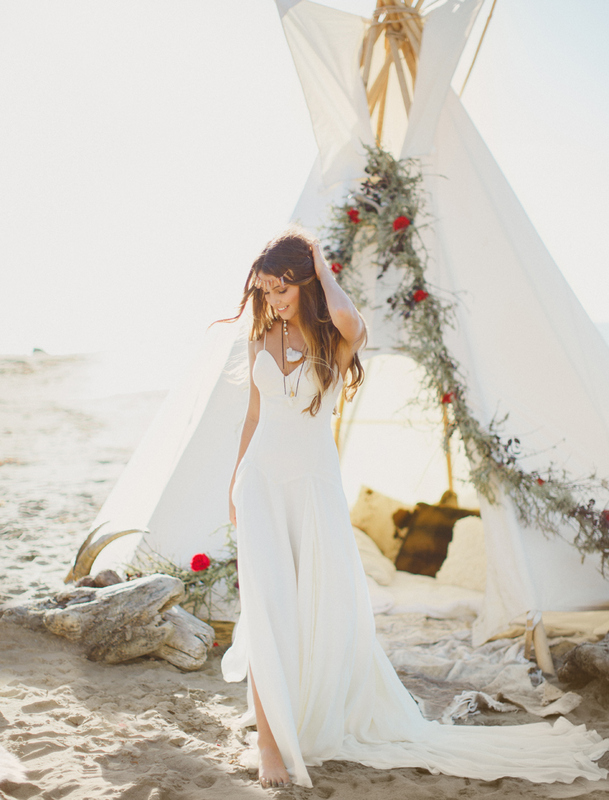 For the adventure lovers, camping wedding will surely prove to be an apt choice. Location is the most important factor that should be considered while planning a camping wedding. Before you start planning, decide on the campground. Search for the options through various websites, blogs, magazines and newspapers and select a ground either in the woods, on the beachfront or in the middle of the scenic beauty of mountains. It is important that the bride and groom mutually finalize their camping wedding venue. Since you know that all the activities have to be done outdoors, take utmost care about the weatherproofing. You need to make sure that you have all the materials, tents and the equipment to provide shield and protection to the guests at the times of unpredictable weather condition. Transportation is a yet another important thing that needs to be planned if you are looking forward to a camping wedding. A camping wedding is all about enjoying and working together at the campgrounds to make a wedding memorable. A yet another important part of the camping wedding planning is organizing the catering services. The best idea is to put up barbeque grills, tandoors, and buffets for the guests to choose from the variety of cuisine available. In addition, make sure to arrange plenty of tables, chairs, water jars and packed food at the camp sites. There might be some guests in your guest list who are outdoor lovers while some others might be the ones who are not fond of going campsites. The next important part of planning a camping wedding is to prepare your guests for the wedding and guiding them with the campground etiquettes such as not littering in public, conserving water, not throwing away the trash etc. Send them warm invitations with proper know-how about the emergency points and nearby accessible areas. The final part of your camping wedding is to keep your guest entertained and involved through various activities. Plan some live music concerts, dance nights and chat up sessions to make sure that the guests are having the best time during their stay.